Maybe you also have students who can't sit still? Who can't follow instructions? Whose backpacks make your recycling bin look organized? It's not like your students aren't capable. They're bright, imaginative, and kind. Heck, they even fix your pencil sharpener for you! Despite your best efforts, your students just don't seem to be getting anywhere. If your disorganized, distracted students aren't making sufficient progress, chances are they struggle with executive function deficits. The normal tricks of the trade aren't going to cut it. You need explicit, strength-based strategies for supporting these different learners. But first, let's answer a crucial question with a frequently-misunderstood answer. What is executive function, anyway? Executive function is the ability to set a goal and achieve it. Sounds simple, right? Actually, it's pretty darn complex. Planning — Can the student identify and carry out the steps to complete a large project? 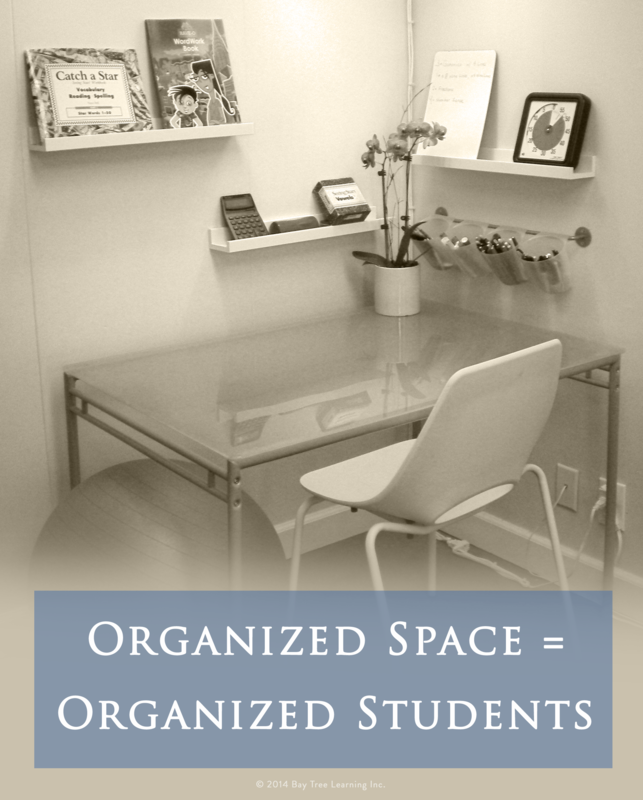 Organization — Can the student keep track of school materials? Time management — Can the student estimate how long it will take to finish a task? Working memory — Can the student remember recently-given instructions? Response-inhibition — Can the student think before acting? Emotional control — Can the student cope with everyday frustrations? Sustained attention — Can the student stick with a task? Task initiation — Can the student independently start a project? Flexibility — Can the student “shift gears” when unforeseen circumstances arise? Goal-directed persistence — Can the student persevere, even when a task is challenging? You might be thinking that these executive function challenges describe kids you've known with ADHD. Interestingly, many experts believe that ADHD and executive function deficits are actually the same. Here's the good news: Executive function weaknesses are often delayed deficits not absolute losses. As students mature, many of these executive function skills will develop. In the meantime, professional support can help these students feel and be more successful. I specialize in teaching children with learning disabilities, with a variety of diagnosed and undiagnosed challenges. Here's the thing — almost all of my students are challenged by weaker executive function. In fact, all of us have stronger and weaker executive skills. By identifying our strengths, we can develop strategies to bolster our weaknesses. You may find, as I have, that teaching these skills strengthens your own executive functioning. Most kids with executive function weaknesses are distractible. One second you're reviewing vowel sounds with Liam, and suddenly he's telling you that his cousin's dog looks like Chewbacca. If you feel like you spend your entire session redirecting a student's attention, what should you do? Gently, help the student recognize that they're not focusing on the task at hand. The “monkey mind” strategy is a powerful way to teach students to monitor their attention. FIRST: Explain that kids and adults have minds that wander. That's what brains do. Normalize the experience by sharing a memory of when your mind wandered. Then, ask your student to share a time when their mind got distracted. SECOND: Describe how our minds are a bit like monkeys. They're mischievous. One second they're sitting in a tree; the next they're running through the jungle. Our job is to notice when our “monkey minds” have wandered off and gently bring them back to their tree. Do you find yourself telling your students to put down manipulatives, sit down, or quit fidgeting? 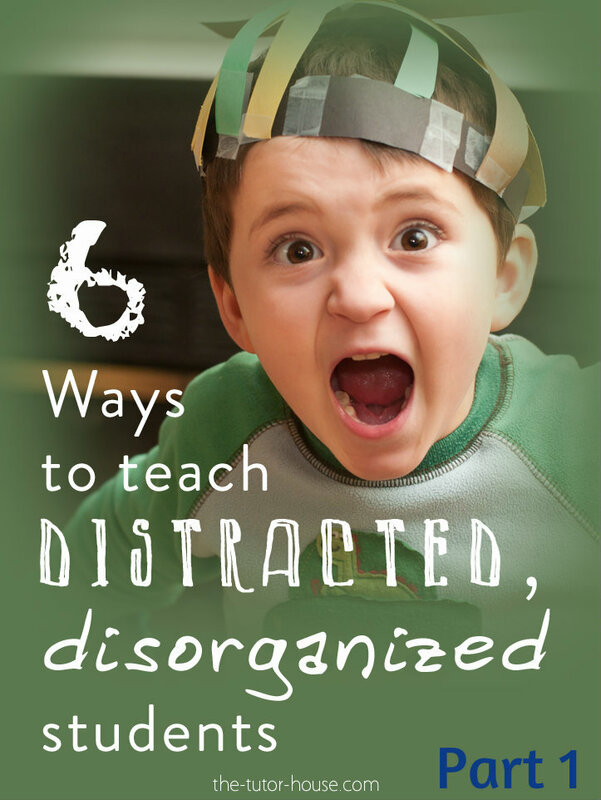 Your students aren't trying to distract themselves. Sometimes they just have a hard time focusing. I'm going to be honest with you. Deepening attention takes years. But in minutes, you can change your student's environment. Make sure your desk is clean. Put distractions out of sight. Ask students to leave phones and toys in their backpacks or another room. Keep your walls free of clutter. Find a quiet, distraction-free part of the house. Ask family members to avoid interrupting. Kids with executive function weaknesses typically develop their sense of time later than their peers. An hour is a foreign concept. They don't have a clue how long everyday tasks take. Maintain a predictable routine in your sessions. Write down your daily schedule and let the student sequence their time with you. Teach your students to use their planner. At the bottom of the article, I share a link to a free workbook with student-tested strategies for organizing homework and assignment due dates. Use the Time Timer to help see time passing. Encourage the student to estimate how long tasks take. Compare their estimates to the actual time elapsed. As students move into middle school, teachers will expect them to complete long-term projects independently. Work with the student to break projects into smaller parts with due dates. Tune in later this week where we’ll discuss the other three strategies to help students with executive function issues. How do you help your students effectively manage their own time? Be sure to tune in for part 2 on Sunday, August 10th, 2014! Anne-Marie Morey is a Board Certified Educational Therapist who provides tools and strategies for educators who teach kids with learning differences at BayTreeBlog.com. She has a private practice in San Mateo, CA where she helps students with learning disabilities find success in school and life. This is so helpful. I teach first-graders and this will be good to work with the whole class. And you are right–me too. I’m looking forward to tomorrow’s follow up. Thanks for sharing your experience & insights. I teach emotional/behavioral support at the elementary level, and executive functioning needs are so prevalent yet often misunderstood. You explain this perfectly! I just have to share this! I can’t wait to use the monkey minds strategy! Thanks so much! Thanks so much! I thought Anne-Marie did a bang up job explaining it as well. Thanks for reading Terri! Anne-Marie provided such great ideas. Thanks for sharing this with your students, Terri. I find that first graders are receptive to the “monkey” mind thought. Let me know how it goes! I use the strategy one-on-one, and I’d love to see how it generalizes to whole class instruction. This was very helpful!! Thank you for the great tips! I will definitely be using the “monkey mind” strategy with my first graders! What a nice thing to say! You’ve made my day by sharing this information with your colleagues. I’m so glad that you found it helpful. Thank you for being so appreciative. I hope the strategy works well for your students. Some home tutors mistakenly diagnose students with behaviors of moving around or using their body and muscles, as having ADHD. However, they are found to be a kinesthetic learners. Oh my! This is the FIRST time I have ever seen any other teacher use the “monkey mind” approach. We actually have a MONKEY song. I wrote it originally to help a tween girl deal with her angry thoughts, but it has worked magically with younger kids too. I love this post. It’s brilliant. Will share everywhere! Lessia, what a crazy coincidence that you created your own monkey mind tools. I was inspired by my meditation class where the wandering mind is called the monkey mind. I’ve love to hear more about your song. Thanks so much for sharing! Thanks for coming by and reading Lessia! Your music is so fun and how amazing is it that you and Anne-Marie were on the same wavelength with monkey thoughts!